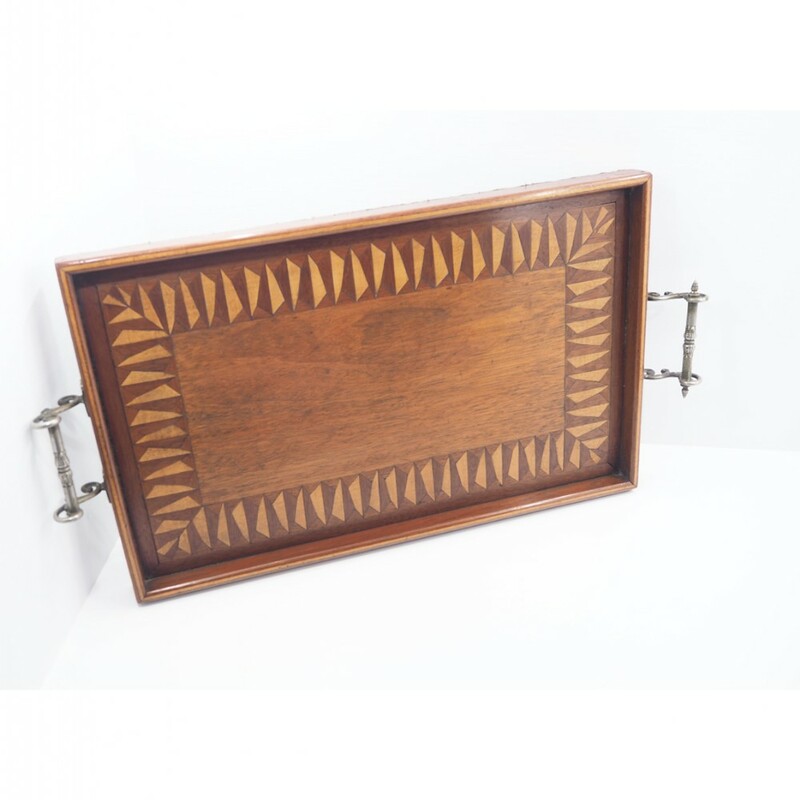 Good late 19th century oblong shape mahogany and inlaid tray. 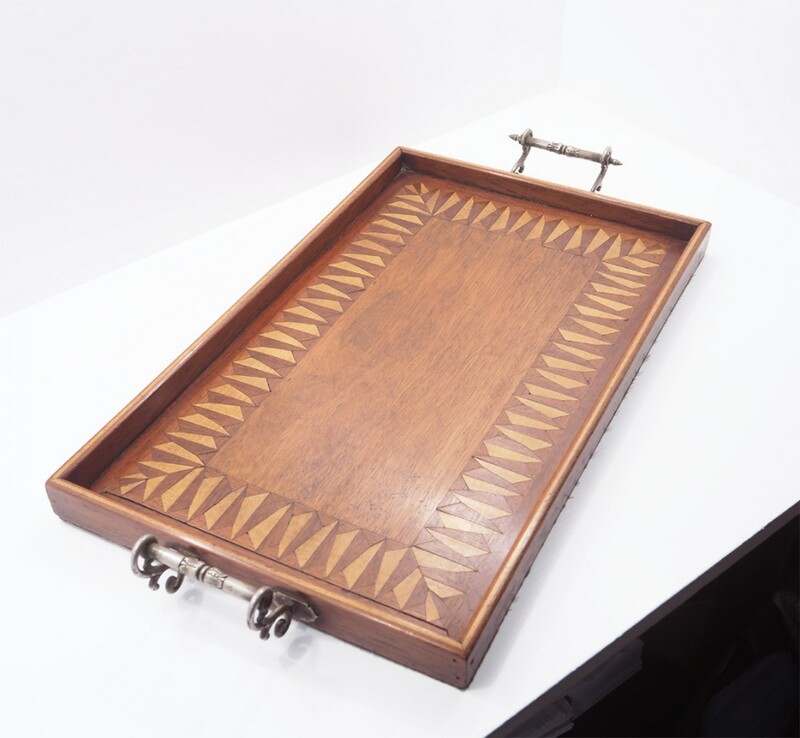 The tray with a mahogany gallery all round with a moulded round top edge and a boxwood line inlay down the middle. 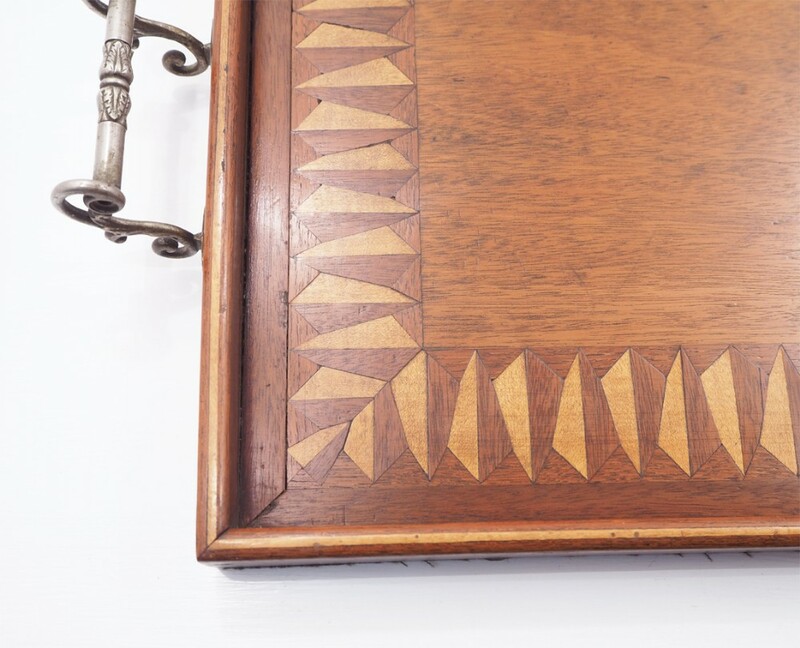 The base of the tray has a very nice geometrical design inlay in maplewood and walnut. 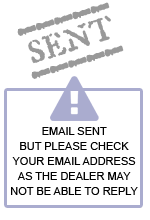 The tray has plated handles to each side and a green baize to the base. 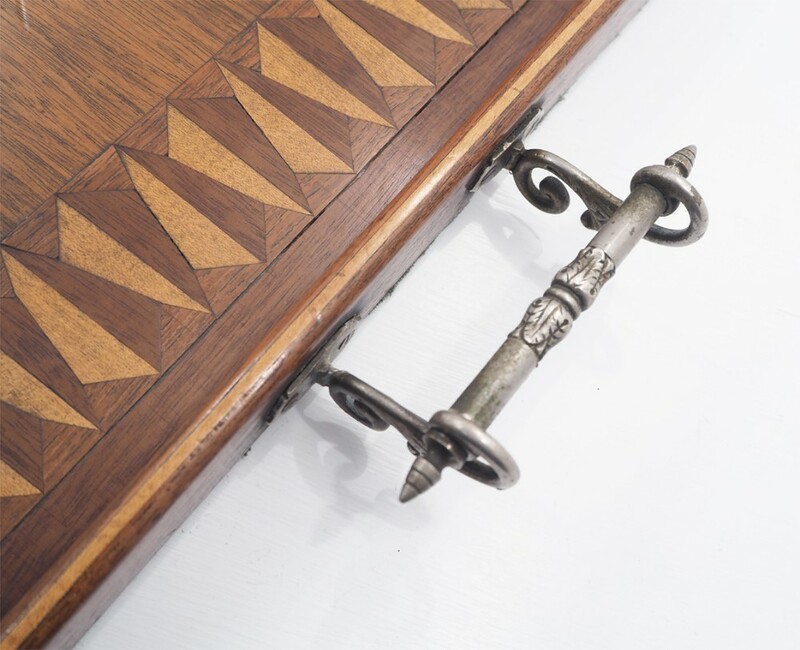 The tray is in good condition except for one of the handles is missings its finials. 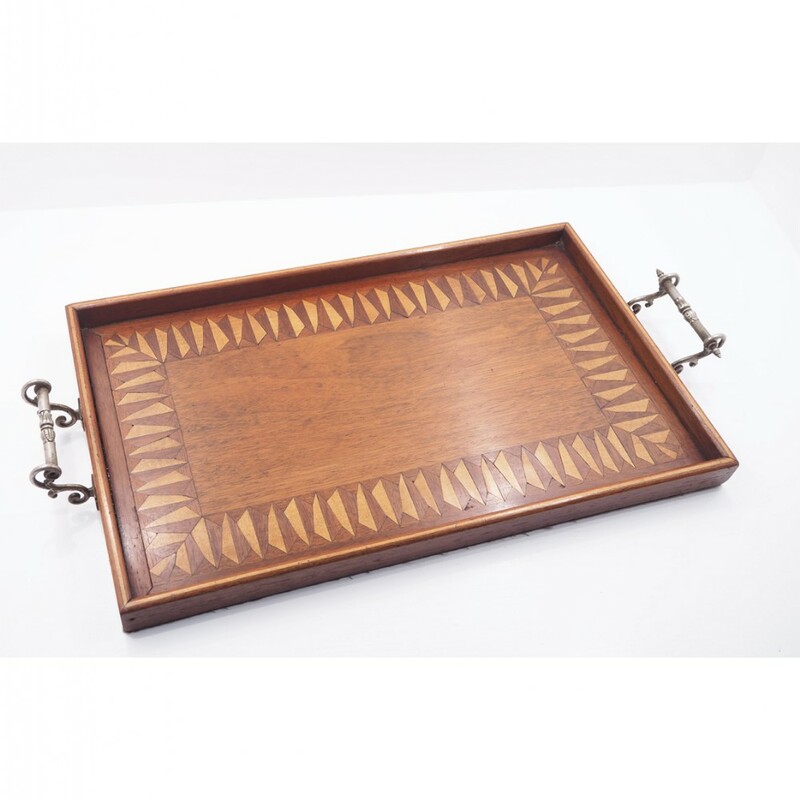 The 19th CENTURY INLAID MAHOGANY TRAY has been added to your saved items.